Velour Robes - Beautiful. Soft. Cozy. Velour is perhaps one of the most underrated luxury robes available. From easy fitting hooded robes for cold winter nights to relaxing spa robes in the spring, the choices are endless. In this article we'll show you how to get the best of both worlds - the fashionable styles that you'll love without breaking the bank or your budget. Follow along as we share our best tips and tricks on how to enjoy these posh robes for less. An easy way to save on a robe is to forgo the additional bells and whistles - trims and extras that make the price skyrocket. Lace appliques, silk piping, hand sewn details like beading or embroidery, or ribbon trim are all very pretty, but they can come at a steep price. The more materials and craftsmanship that goes into any type of sleepwear, the higher the price point. The secret? Check out velour robes with simple and classic lines with minimal trims. You’ll love the timeless look of a basic style that's effortless to wear AND easy peasy on your wallet. Another great way to save is to bypass anything that's too hip or trendy (and quickly out of date), and instead focus your search on classic womens robes. Your cost per wear will be next to nothing when you choose a velour robe in an ultra versatile style that you can wear for several seasons. You’ll maximize the wearing potential and make your robe a great investment when you choose a style that you can wear again and again. Velour parallels terry cloth robes and fleece robes in terms of warmth; however, they are often thinner, making them more convenient for storage and travel. While velour is usually not quite as absorbent as terrycloth, spa robes in velour are great to slip into after a shower, bath, or sauna. There are lots of different types of velour, and they each carry different price points. The thickest, heaviest fabrics tend to be more expensive than lightweight velour or velour blends. The general rule of thumb is - the plusher the fabric the higher the price, but this doesn’t mean that you have to forgo the luxurious feeling that you love. You’ll love the versatility and savings of a lighter velour that gives you comfort and decadence without emptying your bank account. One of velour’s few downsides is its affinity for lint, dust, and pet hair, which can easily become trapped in its short fibers. The solution? A lint brush or adhesive tape roller can easily rectify such a situation. It takes patience, but one of our favorite ways to save big is to wait for the sales. Most retailers have two big sales each year, so check out your favorite stores and find out when their biggest events will be. 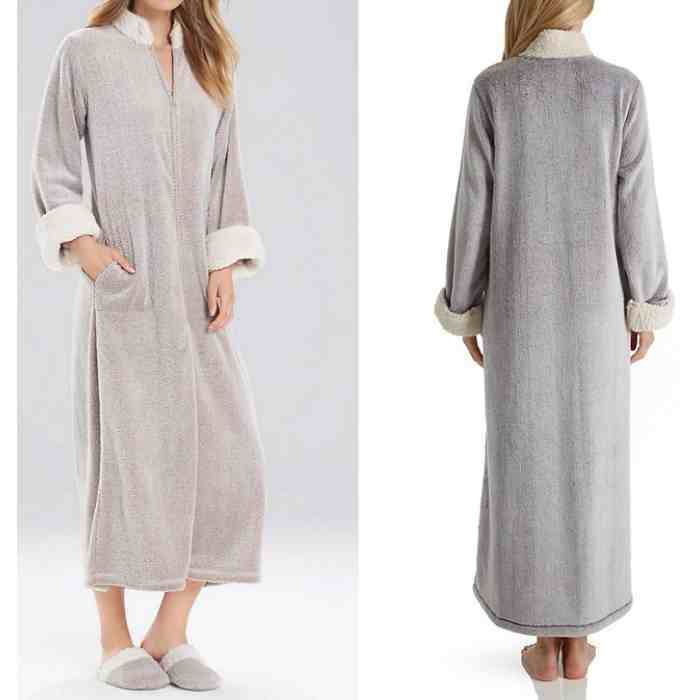 If you’re after thick, plush robes in velour you’ll get the best deals in the early spring when stores are selling their winter sleep wear and introducing lighter summery styles. A little patience goes a long way in scoring a luxe robe at a price that you love. Robes and night gowns should be washed separately from all other garments, both to prevent the robe from bleeding its color and damaging other clothing, and to prevent fibers from other fabrics becoming entangled in the velour. Finally, a great tip is simply to buy quality. If you have the money to invest in quality sleepwear, it’s a great way to save in the long run. 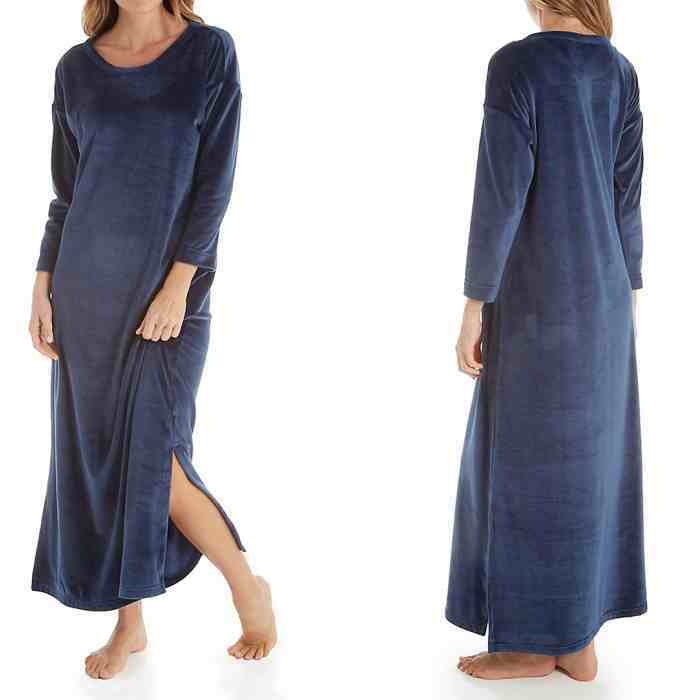 Yes, it will cost more upfront but you’ll reap the savings in years to come when you buy a gorgeous, high quality velour robe that will stand the test of time.